What do you think of this trend, yay or nay? Happy Monday everyone, let's celebrate the Vernal Equinox! Hi Lilli, this trend is not for me. This will look good for petite and thinner ladies. The stripes style is cool though. Hi Lilli, it's a feminine trend, I think that blouses can work for me, in more formal style pieces I see it convenient. Happy start of week. È una tendenza molto carina, però non devono essere troppo a palloncino! Mi piaccione tutte le tendenze moda concentrate sulle maniche per questa primavera!!! Molto bella la maglia! Un trend che mi intriga! 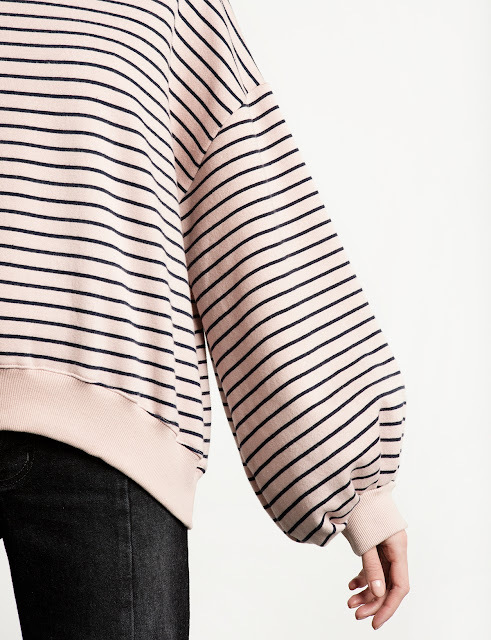 The balloon sleeve is such a fun trend! would also like to try it on a sweatshirt as well! Happy Monday Lilli! i alos like the new balloon sleeve trend. But you are right, the perfect balance is important. I love your example sewater, so cute with the stipes. Wow Lilli! I guess I must follow that balloon-sleeves trend too! In love with this ballons sleeves! I love the balloon sleeves. I have a dress with the same detail. Have a nice week.